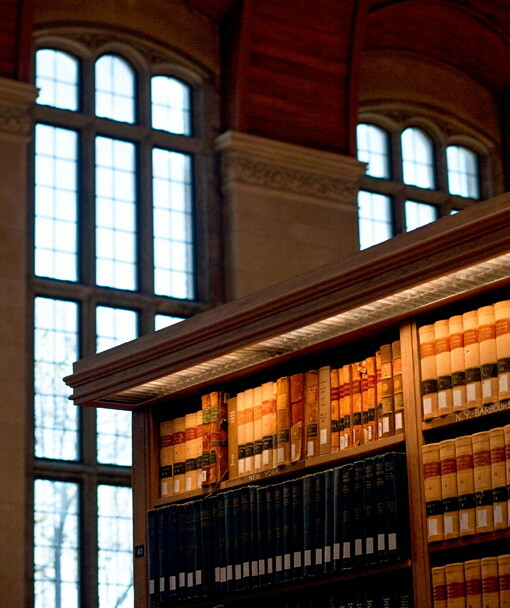 Part of Cornell's Law Library's world-class collection. Several months ago, assistant professor of comparative literature Tom McEnaney heard whispers that the library was about to acquire a massive new punk archive. The rumors were true: Cornell University Library received more than 3,000 items on English and American punk, the rock music-based subculture that originated in the 1970s, as a gift from Johan Kugelberg, a collector and Cornell parent. He carefully collected original manuscripts, fliers, posters, fanzines, sound recordings, clothing, photographs and original art for more than a decade. In March, the collection arrived in the Division of Rare and Manuscript Collections, which houses some of Cornell's greatest treasures in a climate-controlled vault two stories below the Arts Quad. 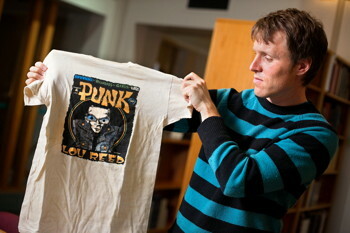 He knew that punk studies – "punkademia," as coined by a Boston Globe writer – was just entering the academy, and he is teaching a course this fall on the literature, art and music connected to punk. 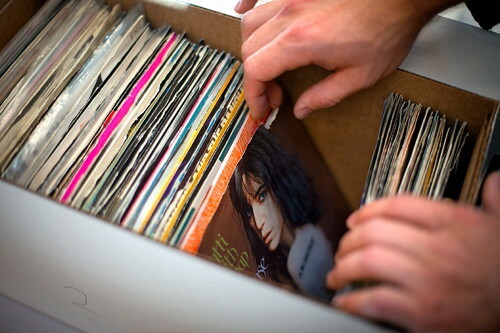 Throughout the semester, McEnaney will introduce students to the archive, and they will examine early works by Patti Smith, listen to recordings and look at vintage T-shirts and other artifacts. "It will make the course unbelievably richer and give the students a real sense of the specific material culture around punk, but it will also give them a sense of how to do research. It'll be the sugar with their medicine," he jokes. "Hopefully, they will be drawn to the excitement and adventure of punk music, and along the way learn these important research skills." Examples like this – anticipating teaching needs in emerging and established fields, and providing resources to support them – are key to the way Cornell's library functions, facilitating research, teaching and inquiry for the entire university.